Handle residential wiring projects correctly, safely, and according to the National Electrical Code (NEC). 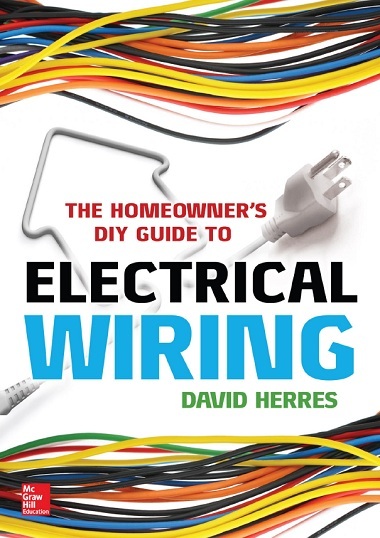 Filled with clear photos and helpful diagrams, The Homeowner’s DIY Guide to Electrical Wiring shows you how to quickly and easily navigate the portions of the NEC that pertain to residential installations. This hands-on resource covers basic electronics and explains how electrical service progresses through your home. It describes how to install and test electrical systems and lighting, repair appliances and TVs, and upgrade to the latest innovations such as home networking, home automation, and alternate power systems. You’ll learn the procedures used by professional electricians to create the kind of quality work that will pass inspection and add value to your home.